made up of little things .... the life and loves of a lincolnshire lass: Oh Happy Day! What good news! I'm so happy for you, you must be thrilled! she is indeed a little cutie. I know the feeling of always falling for the runt, almost all of our pets are 'special'. Hehe. Aww she is just so cute!! I would love to own chickens!! I wonder how my cats would get on with them! Thats just so funny that she just decided to come home! I would have been so relieved!! 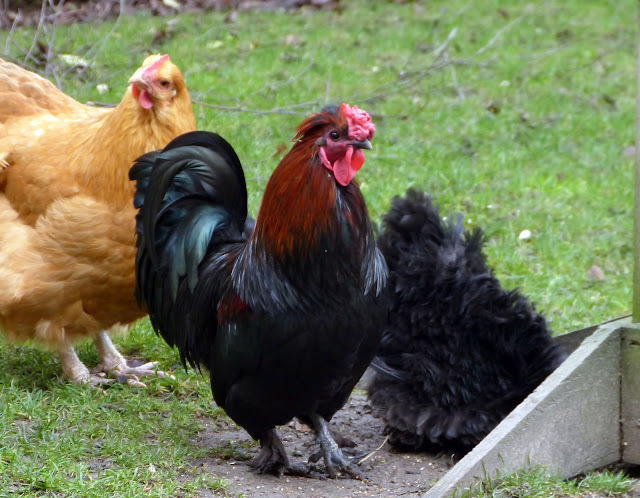 :D I love hearing about your litle chickens and that cockerel is very handsome! That's a good news...it such a joy when you get something back when you have considered them lost. Especially if these are animals, who we are attached to...all the best and don't forget to lock the gate! 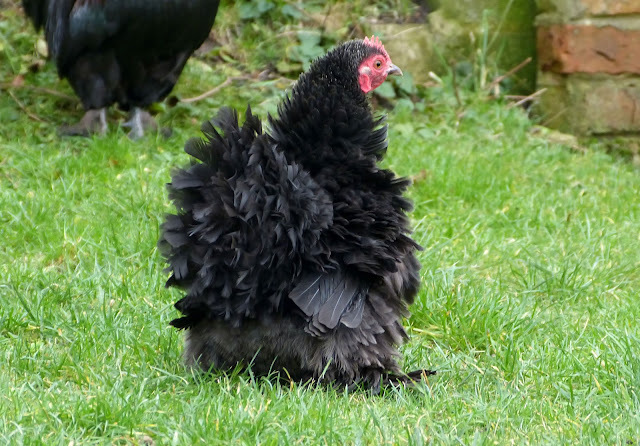 The frizzle is soo cute! It's a shame to know it doesn't work for her in the rain though, are they just bread like that for the aesthetic value? 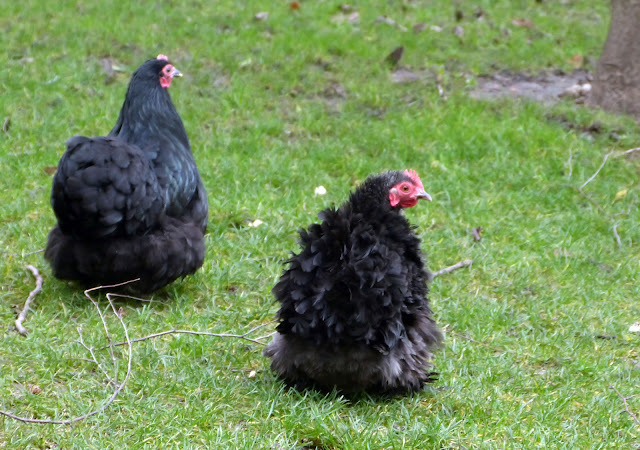 We used to keep lavender Pekins and we had a lavender cockerel called Captain Manwaring as he was just like him hehe! This post put such a smile on my face! Glad to hear she's back and doesn't seem any worse for wear. 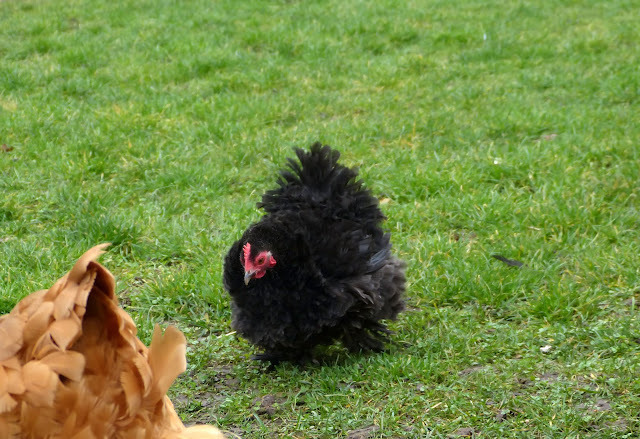 Chickens are such funny little things, our next door neighbours keep them and they crack me up! I'm so pleased! I was rather saddened when I read your post about the fox getting them. I'm glad to hear she's back...such a pretty lady! Aw, yay! That's a lovely bit of news for the day! Fantastic news :) so glad Frizzle miraculously came back to you <3 you're so lucky!